In an economy buoyed by tourism, banking your business’ marketing on the wrong demographic can sink your organization. But with Valpak of Hawaii, you can leverage decades worth of insights on direct mail advertising and the Hawaiian market to connect with the most relevant neighborhoods on each of the islands. Work with our designers to create single-panel coupons, multipanel coupons, circulars or flyers to advertise in The Blue Envelope®. Beyond direct mail, Valpak can also expand your business’ presence online with digital marketing campaigns that retain and increase your loyal following. Whether they’re residents or here on vacation, people on the Hawaiian Islands will always be able to easily learn about your business and discover its offers when you work with Valpak on a digital marketing strategy. With Valpak’s performance tracking tools, you’ll always have an easy way to keep track of your print and digital campaign – along with your return on investment. Get regular reports on calls, clicks and leads generated by your campaigns, all in an intuitive dashboard. Count on Valpak of Hawaii to help you reach up to 110,000 qualified households in Honolulu, and cities including Waipahu, Ewa Beach, Mililani, Kaneohe and Kailua. For specific dates and coverage, contact your Valpak of Hawaii representative. 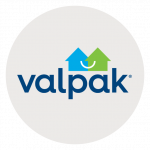 Valpak of Hawaii is an independently owned Valpak franchise.